Besides having all the great features of the hobby 1132, the hobby 1142 gives you even more possibilities! Included in the 23-stitch package is a selection of decorative stitches for beautiful finishing touches and decorative effects. Try the one-step buttonhole! Sewing buttonholes has never been easier! The integrated needle threader is unbelievably practical. 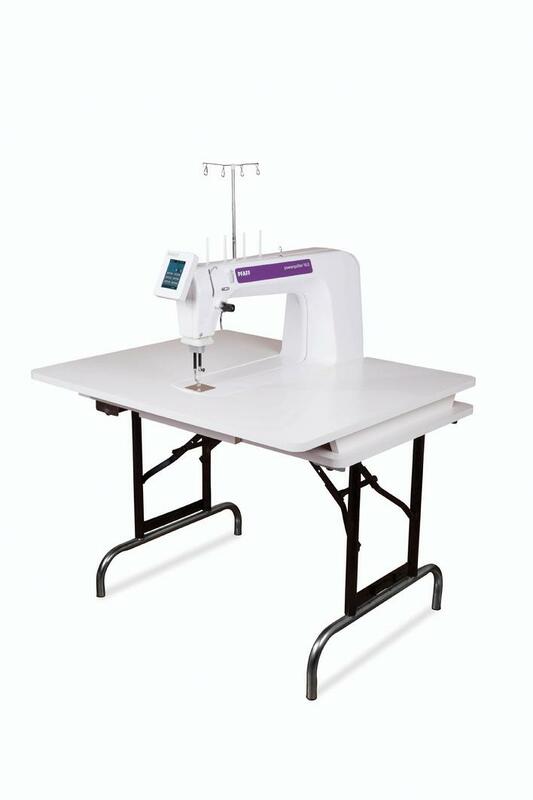 No more searching for the needle's eye - just let the needle threader do the work and start sewing! 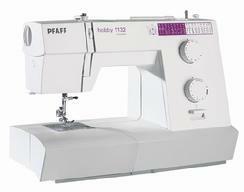 More features, more accessories, and more creative possibilites - that's the hobby 1142 from Pfaff! Easy to use, smart design! 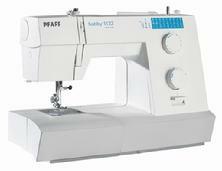 Everyone can sew with a hobby from Pfaff. They offer just the right variety of features! A great selection of Pfaff's high-quality stitches (including a buttonhole). Stitch lengths are adjustable up to 4mm. Easy threading thanks to marked threading paths and a drop-in bobbin! The bobbin thread is picked up automatically. Many accessories to get you started,plus a carrying case for protection! 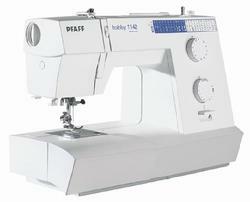 The hobby line - true Pfaff quality and features at an attractive price. Adjustable presser foot pressure for even fabric feed. A great selection of Pfaff's high-quality stitches (9 Stitches including a buttonhole). Stitch lengths are adjustable up to 4mm.